Microsoft has said Windows Media Player (WMP) would soon stop showing new info about songs and films in Windows 7, in what some analysts say is a cynical attempt to encourage people to upgrade to Windows 10. The change also affects Windows Media Centre in Windows 7 and 8.1. Are You Paying Too Much For Your Music? With the growing number of music outlets on our High Streets and online, how can you really be sure you’re not being ripped off when you buy your music? 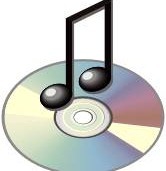 Whether you download your music fix or prefer to buy it on CD, there are so many retailers vying for your cash it’s tough to be sure you are getting the best deal. Well, to help you make sure you’re not paying over the odds, I want to draw your attention to the wise words of Stuart Andrews who wrote a great article in PC Pro’s September 2010 edition which looked at the best music download sites. 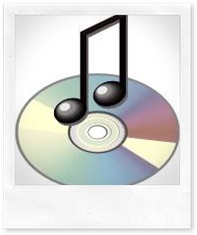 His review includes comprehensive tests of ten of the UK’s leading online music stores. The review looks at best value for money, compares prices, sound quality and availability of more than 80 albums both old and new from across different stores. If you’re sitting there thinking “yeah, but I use iTunes so I have to buy my music from there”, think again. Apparently if you use Apple you can still use these files in your music library if placed in the music folder so there are no restrictions on which store you use. The top two out of the ten tested were Amazon and Tesco with an average top 40 album price of £5.46 and £6.22 respectfully (tests carried out w/c 17 May 2010). Of course, retailers constantly change their pricing so keeping up with where the cheapest place is can be quite a task. But thankfully there are websites out there that will do all the hard work for you, such as www.tunechecker.com which will tell you where you can retrieve the cheapest download. So, no more music rip offs – YES! Author itsupportbloggerPosted on December 1, 2010 January 28, 2014 Categories Customer service, IT help, Music downloadsTags best priced music, computer maintenance, IT support, music downloadsLeave a comment on Are You Paying Too Much For Your Music?